Your candidates and potential talent are a valuable part of your recruitment business model and it's only fair they get the treatment they deserve. 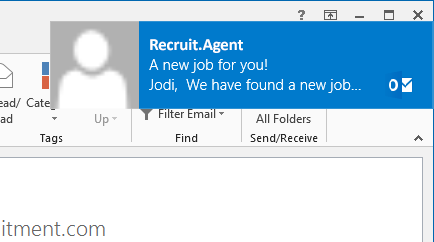 The Recruit.Agent portal bolts on to your website and instantly gives your job seekers a place where they can control their applications and feed directly into your recruitment processes. Easy to setup and simple to use, Recruit.Agent packs a whole load of features into a candidate portal that simply bolts on to your existing website. 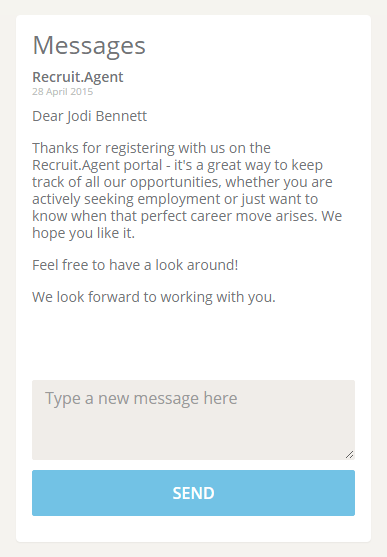 The Recruit.Agent portal is displayed using an innovative 'second screen' that slides over your website. 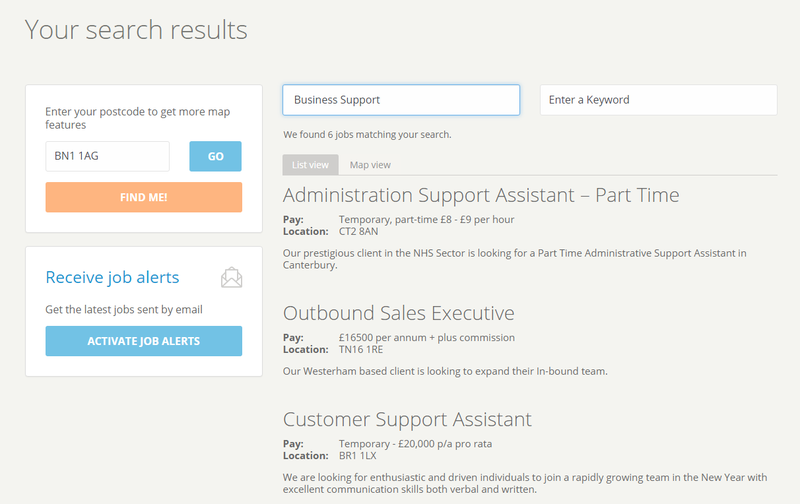 Your candidates can access job searches, CV uploads and many more features from every page of your website. The portal converts your website into a fully featured job board, keeping all your job details up-to-date and allowing candidates to save jobs to a cart or apply with a single click. Give your job seekers instant access to your consultants through a built in chat window that sends messages directly into those consultants’ Outlook. 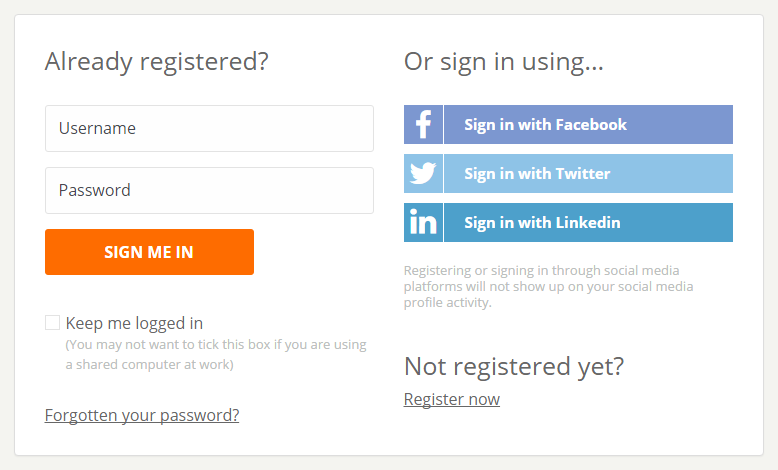 Candidates can quickly register, sign-in and apply for jobs using their LinkedIn, Facebook or Twitter login details. And sharing jobs on social media takes just one click. Recruit.Agent has been designed to integrate with your CRM, which practically eliminates any additional administration, leaving your consultants free to make more contacts and placements. Helping your candidates find jobs in their preferred locations, finding their next job is as simple as choosing the pin in the map! 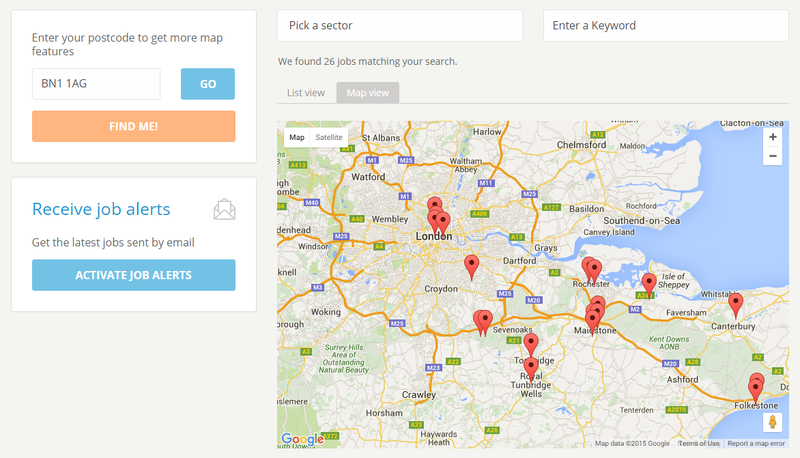 Search for a job by town or postcode and specify the maximum travel distance. 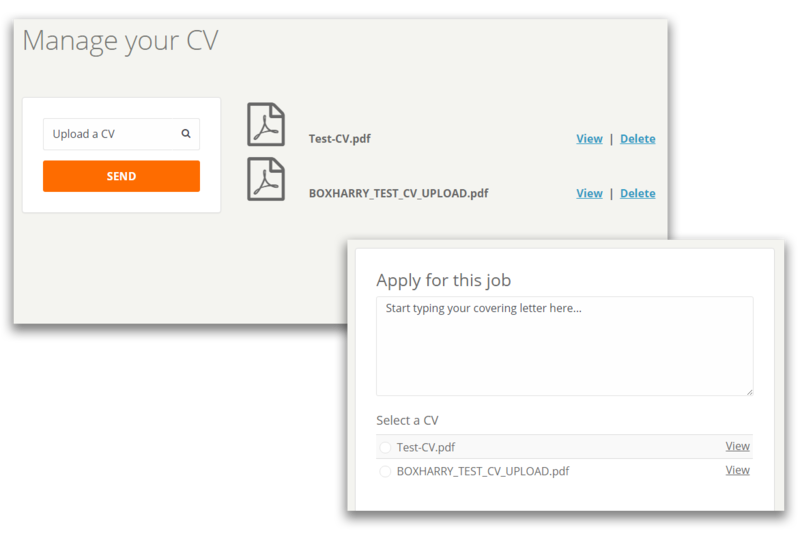 Applicants can register multiple CVs which they can then select from to add to their job applications. Each CV can be sent to a CV parsing service, such as Daxtra or Burning Glass for inclusion in your CRM. Candidates are automatically emailed jobs as soon as they are posted. Jobs are filtered by skills and sectors to make sure the right candidate gets told about the right job. We know that all recruitment businesses strive to create and maintain a unique service for their clients, and any portal solution will need to reflect that individuality. That’s why we’ve built each portal to be completely customisable. If there is something that your business needs and you think it would look great in your portal, let us know. Our developers will take your idea and make it work in your portal and improve your business.